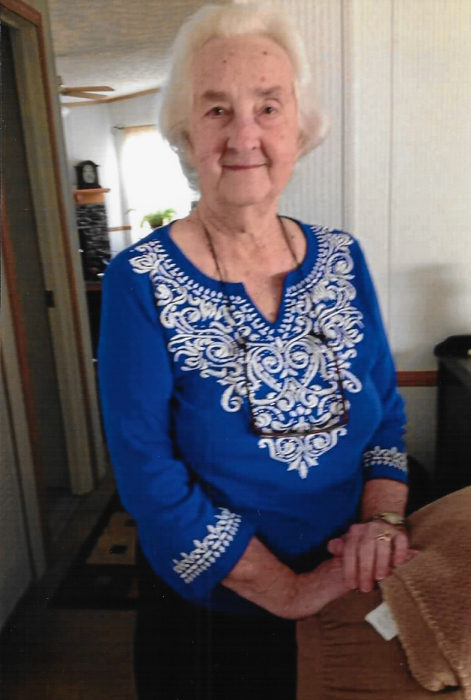 Grace Elizabeth Collier Hill, 88, of Kinston passed away Tuesday, April 9, 2019 at Signature Healthcare of Kinston. She was a loving wife, mother, grandmother, great-grandmother and sister. She was Salutatorian of her class at Southwood High School, active service member of Lenoir County Agricultural Extension Department and charter member of Rivermont Presbyterian Church. Elizabeth is preceded in death by her husband, John C Hill; grandson, Jonathan Hill and son-in-law, Peter Onidi. She is survived by her daughter, Cheryl Onidi; son, Chris Hill and wife Jan; grandchildren, Nicholas Hill, Stacy Hill, Christine Onidi, Peter Onidi, Ashley McPherson, Brandon Hill, Samuel Hill, John Michael Hill and Jacob Hill; six great-grandchildren and sister, Brenda Poe. Graveside service will be held Friday, April 12, 2019 at 2:00pm with Dr. Randy Spaugh officiating at Pinelawn Memorial Park.